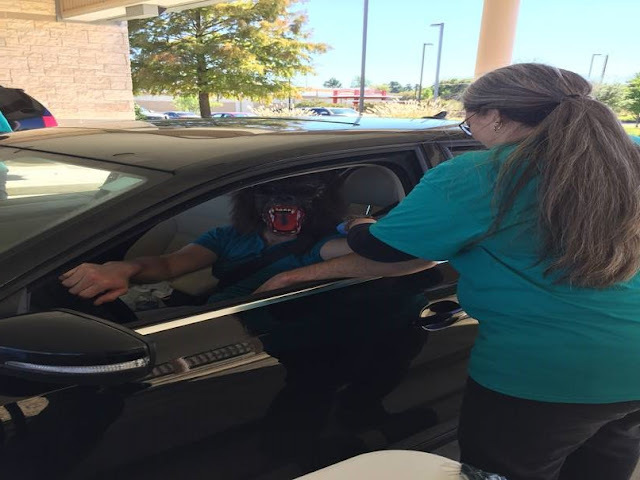 The Lamar Delta County Medical Society and Alliance, in conjunction with the Paris Lamar County Health District, recently gave 360 flu shots to drivers and passengers as part of their “Drive Thru, Prevent the Flu” initiative. Funded by the Texas Medical Association’s Be Wise ― Immunize℠ program and a community grant by the Texas Medical Association Foundation, the event enabled residents to receive free flu shots in the comfort of their car. 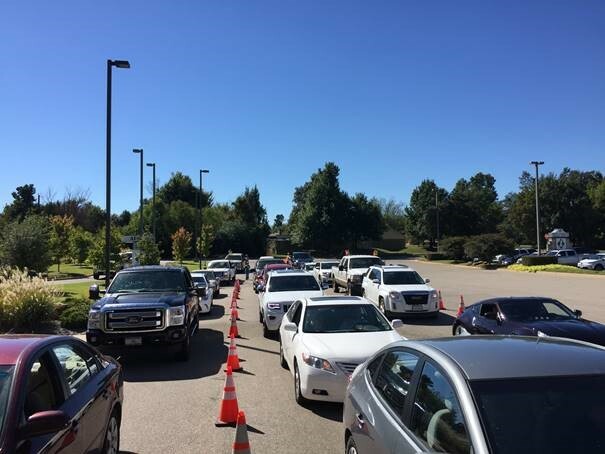 Lines of cars greeted the health professionals when they arrived on the scene to start giving those community-protecting flu shots. The event was held in conjunction with the Festival of Pumpkins in Paris, and one of the flu shot recipients showed up wearing a mask that was even scarier than getting a flu shot! Dr. Green is an internal medicine physician in Paris, TX, and Medical Director for the Lamar County Health Department.